Views: 356,013 | 2 Global Users. 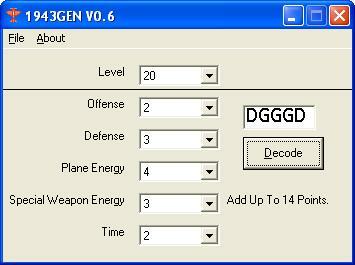 1943GEN is a Password Generator for 1943 designed in VB. I may plan to rerelease it in a 1943 NES editor.